ARTICHOKES ARE best known as a vegetable dish, sometimes added to the “Four Seasons” pizza made in Italy. The artichoke plant belongs to the thistle family. The edible part, or artichoke heart, is the base of the flowering section. The leaves can be used to make artichoke leaf extract, traditionally used as a herbal remedy for nausea, heartburn and other digestion problems. Dyspepsia is the medical term used to describe these symptoms when their cause is unknown. Studies have found that one in three people suffers regularly from dyspepsia, and in Britain it is the most common reason for people visiting their GPs. During the 1990s, researchers in Germany identified several compounds in artichoke leaf extract which were beneficial for digestion. Among these were compounds that stimulate the flow of bile. This fluid is secreted into the intestines and helps to digest fat. High-fat meals tend to be digested slowly and can leave people feeling full and bloated. Increased production of bile could therefore help relieve some symptoms of dyspepsia. 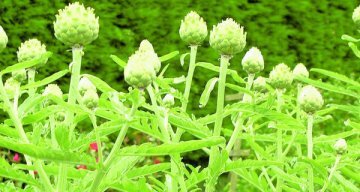 Early studies were sponsored by the manufacturers of artichoke leaf extract and reported impressive results. Among people suffering severe symptoms of dyspepsia, including frequent nausea and vomiting, symptoms improved by 70 per cent among those taking one to two capsules three times daily. People with less severe dyspepsia who took one capsule daily reported 40 per cent improvements in their symptoms. The first randomised controlled trial of artichoke leaf extract was published in 2003, and it appears to be the only one reported so far. Almost 250 people with dyspepsia along with abdominal pain were given either artichoke leaf extract or a placebo for six weeks. From the end of the first week, patients taking artichoke had greater improvements in their symptoms compared to those taking the placebo. Overall, the artichoke group improved by about 15 per cent more than the placebo group. The researchers noted a surprisingly large improvement in those taking the placebo capsules. With conditions such as dyspepsia, which naturally increase and decrease in severity, large placebo effects are common and make it difficult to reach clear conclusions about treatments being tested. Nonetheless, the results for artichoke leaf extract is promising. The only side effect reported by people taking artichoke leaf extract is increased flatulence. However, people can be allergic to artichoke, with dermatitis being the most common symptom. Artichoke belongs to the Asteraceae family, which also includes daisies, chrysanthemums, ragweed and many other herbs. Anyone allergic to these plants should test artichoke carefully before using it regularly. Anyone with a blockage in their bile duct should not take artichoke leaf extract. Blockages can be caused by gallstones, pancreatic cancer or other internal injuries. Artichoke leaf extract shows good potential in the treatment of dyspepsia. A herbal remedy that relieves symptoms is welcome, but the underlying causes of on-going dyspepsia should be investigated. Diet or other lifestyle changes may give more sustained relief. Dyspepsia is sometimes caused by more serious conditions which should be medically evaluated if the symptoms continue for weeks at a time. For occasional bouts of heartburn, artichoke leaf extract may warrant a trial, especially if other remedies have not proved very effective.